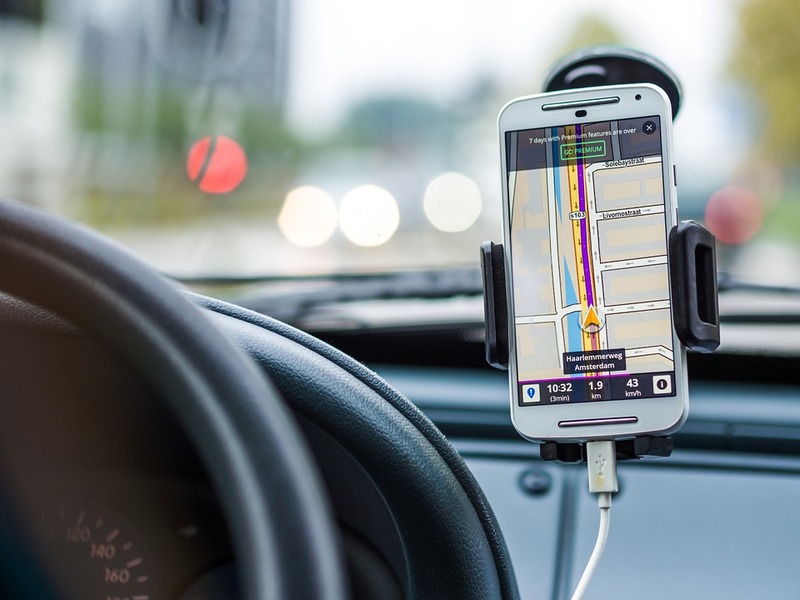 Standalone GPS products have held public esteem over the years, but more and more people have turned to their smartphones for navigation apps free to use for smartphones. Today, these apps have increased in sophistication. They boast accurate maps, voice-prompted directions, and safety camera alerts. After a test of the multiple options you can use freely, we found several good choices for Android and iOS devices. Here are the best navigation apps free to use by anyone. While the GPS Essentials app appears with a somewhat antiquated interface, you still have a valuable app. Where GPS Essentials glistens with beauty lies in its dashboard where you can monitor a variety of stats that include your average speed, distance traveled, altitude, ETA to destination and moon phase. That presents you with a lot of information while you navigate the great outdoors. Another feature to make GPS Essentials stand out is the HUD feature. It shows you waypoints. Software developers intended this app as more for the outdoors than driving on US highways. Along with the other features, you have a couple plugins to make for additional navigation features. Keep in mind, however, this will cost you extra, so it is not a totally free app. Nokia developed HERE Maps, and it sent ripples throughout the consumer market in 2014. It made an even bigger splash in 2015 when Nokia sold HERE Maps to a broad spectrum of car makers like BMW, Audi, and Mercedes. The elegant and simple interface comes with mapping options from all over the globe. You can also download a map to use for offline purposes. This saves you mobile data, and you do not need a mobile data connection. Along with those features, HERE Maps pulls the curtain on one of their most valuable features to give you information about traffic. You can also search for public transit maps, and you can customize your maps to save for quick directions later. As one of the navigation apps free to use, you do not have to pay anything for it, and the uses are endless when it comes to driving. Several years ago, MapQuest dominated as the central site for directions. Even today, the company continues to offer their services, and they have an Android app. These features have become top notch, and you also have some unique features to the app. For example, you have automatic traffic rerouting, traffic updates and a feature that pinpoints the cheapest gas stations on your route. The MapQuest app can also be turned towards directions for walking. In total, you have a solid app free to download from the Google Play Store. When you compare this navigation app on a feature-by-feature basis, Google Maps destroys the competition. Few can compete with or offer the same features for the price of Google Maps, which is free. You have worldwide support if you encounter problems and regular updates keep this app free of bugs. If needed, you can download maps for offline use. When you download a map, you have a 14-day period of time to use it. You will receive in-depth information about more than 100 million locations. Google controls this free service, and you will be backed by a solid company. The app itself does not cost you anything, but in-app purchases will present you with a more complete product. Polaris Navigation takes the stage as one of the interesting navigation apps free to use because it tries to be that all-in-one navigation app. To be honest, it does a fairly good job of it too. The most notable feature is access to a variety of maps from OpenStreetMaps, Google Maps, MapQuest and Cycle Route Maps. From whatever source you enjoy most, you will access it. Upon opening Polaris Navigation, you will notice a variety of coordinate formats, an interesting waypoint management feature, and trail recording. Polaris Navigation also hands you the standard turn-by-turn directions, and Google Play Store gave it excellent ratings. When you download it, you can trust you have a stable app to support you. Considering 25 million people have downloaded Sygic, you have one of the most monumental apps to date. As it was with the other apps, Sygic lets you download apps to use offline. Where the app adopts a new approach is in the maps it uses, TomTom maps. You will also take pleasure in the standard features like voice-guided directions, turn-by-turn assistance and a voice that speaks the street names. This lets you concentrate on what’s most important: driving. Where Sgyic diverges as a truly unique system is how it can adopt alternative routes and even hand you a speed limit display. While the app itself does not cost anything, you can unlock more features through in-app purchases. Scout GPS is not a new app. Instead, it is a revamped effort on the part of developers, and the developers used to call it TeleNav. They changed everything from the icon, the name and the appearance to hand it a fresh new look. Despite the updated appearance, this navigation app keeps all the basic features from TeleNav. Scout GPS, however, centers more around people over the navigation itself. This adds a unique spin to the app, and you receive alerts when other people need you. Scout GPS presents you with a social media element that works fantastic when you have a family who needs to be driven around. As you can see, you have many great navigation apps free to use, and while some will cost you money through in-app purchases, you have others that do not cost you a dime like Google Maps and MapQuest. The key to finding the right app is to focus on what you want to use it for. After you have determined purpose, look at the features that you will achieve your goals. Do you have a favorite navigation app not mentioned? If so, we encourage active discussion to help find the most useful navigation apps. Share your comments and opinions below.